I bend down to pick my one-year-old off the kitchen floor, where he lays sprawled after taking an epic wipe out. Setting him upright, I kiss his chubby cheeks and wipe away his tears. And just like that, he’s off. He shouts his new favorite word, pointing one tiny, plump finger in the general direction of “away”. Away from his fall, away from me. As fast as his little legs will carry him, he does, in fact, go. Moving toward this newfound independence, each day a little faster than the last. Still crouching down, I glance around on a level I don’t normally see: taking in the crumbs covering the out-of-reach floor under cupboards, the peanut butter smears on the fridge, and the dirt-ridden walls roughly two to three feet high. Here I am, sitting on my kitchen floor, amidst the noise and the mess – amidst the work that won’t quit. In a society that defines success as money, career, and stuff, it’s easy to minimize what we are doing here. It’s too easy to get caught up in the Instagram of life - implementing the latest techniques, taking on countless projects, hiding behind the good and the perfect - documenting the whole thing along the way, because it’s not important if it’s not seen, right? After all, we sweep floors to get dirty again and raise children to not need us one day. But amid this juxtaposition of motherhood is where the beauty happens. It’s where bonds are deepened and memories are made. It’s where life skills are taught and his future wife will thank you someday. It’s where scrunched-up eyes and a toothy smile break your heart, where a baby’s laugh is unquestionably contagious, and where a whispered “I love you” makes every Target-centered tantrum worth it. I sigh, not because I’m tired or overwhelmed, although sometimes I am those things. Not because I’m sad over what society says I’m missing. I sigh because I’m happy. I’m fulfilled. To be given this life of chasing toddlers, fixing owies, and wiping smears off windows for the millionth time…it’s the greatest blessing. This work matters. The quiet, mundane, endless work of motherhood is the greatest, most meaningful work of all. Those little babies we just scooped off the floor are fast approaching the God-fearing, responsible adults we pray they’ll become. Because, dear mama, we’re raising the next generation of Christ-followers. And I don’t know what’s more important than that. 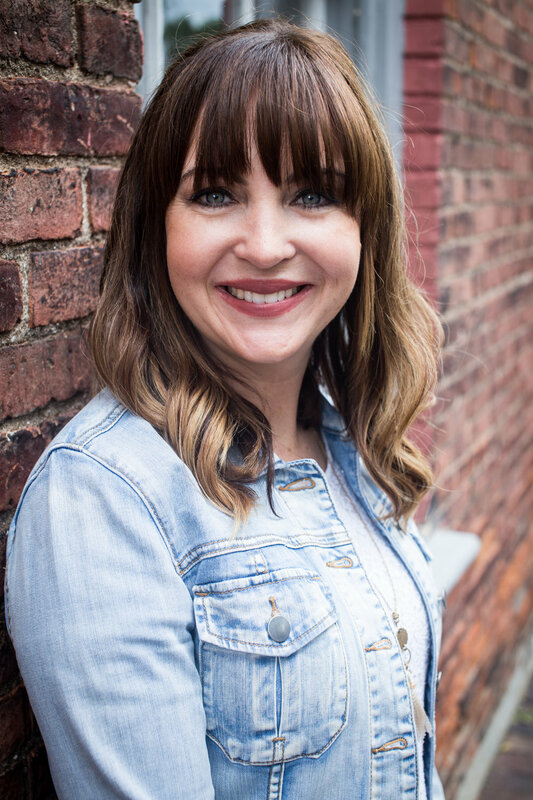 Alicia is a firm believer in the power of prayer, a good cup of coffee, and raising her four little boys to become the next generation of strong, godly men. You can find her on her blog, turquoisegrace.com, writing about practical tips, encouragement, and inspiration on all things raising boys, with a coffee mug in hand, a baby in her lap, and a pile of laundry at her feet. You can also follow her and her brood of energetic boys on Facebook here.